Thursday and Friday were very bad days for gold, silver and the shares. The explanation on Wednesday afternoon and Thursday was because the Fed discontinued QE 3. Along came Friday and guess what, the QE baton was passed to Japan as they announced an increase in their QE operation to roughly the round number of $1 trillion per year. With this amount of QE, the Bank of Japan will now be purchasing every single bond issued and then some. Outright monetization has arrived in Japan! THE worst performing market (excluding the ruble) was silver, down some 7% or so after the Fed announcement from Wednesday afternoon to Friday’s close. We have seen this before in late 2008, April of 2011 and 2013. Maybe someone can rationally explain to me “why” silver would do this with the current backdrop? 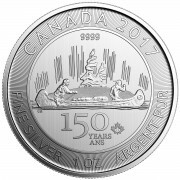 We know the cost of production for silver is north of $20 per ounce, one big producer, First Majestic even announced they are withholding nearly 1 million ounces of production due to current prices ($19 when they made the announcement). I bring this point up because it is not like all of a sudden the supply increased and a producer or producers had “extra” millions of ounces to unload. Over just the last two weeks, the physical silver market has clearly tightened. As the price was dropping, our suppliers went from no “wait” to a waiting period of 1-2 weeks on many products from generics to Maple Leafs… and this was as of Friday morning, let’s see what happens this week with the further push down in prices, will the delivery periods extend further? I would also add that premiums demanded for physical silver product had been rising slightly prior to Wednesday and jumped markedly on Friday, will we again see a $9 COMEX price yet none to be had physically at $15? Why is the supply tight you might ask? The answer is simple, because demand has increased (coaxed by lower prices) and is now outstripping the supply and ability to fabricate enough supply. An example of this would be Silver Eagle sales for October, the mint sold more Silver Eagles than any other “non January” month in its history! They sold 5,790,000 in October, higher than the 5.35 million ounces sold in March of this year, annual sales for the year look like they’ll be a record. I wrote an article two months back entitled “Kill Switch?” that hypothesized it might be China or Chinese proxies who are the “longs” standing so tall in the December silver contract. We only have 1 month left to find out. By then, we will have gone through the U.S. elections and the Swiss gold referendum. Are our markets being “held up” in the hopes of swaying voters to “stay the course” with a Democratic rule in the Senate? Is gold being pushed down to scare the Swiss into believing gold is a “bad thing” and a weak portfolio sister? Is a low oil price being used as electoral propaganda? Maybe, maybe not, in my opinion they are both linked as weak gold allows or “helps” promote stronger paper asset prices. As I have written before, I believe the Chinese are the ones long in COMEX silver who refuse to leave, sell or exit. The losses to the longs are well in excess of $20 billion, over $1 billion on Thursday and Friday alone. Who has the pockets deep enough to sustain losses like this? Who has pockets deep enough to post the margin calls …just from Thursday’s action alone? Let alone absorb another 12 days of added global production …even if it’s just on paper. To finish, I will repeat my thoughts of the last several months. I believe China is fully aware of the bankruptcy of the West’s financial system. I believed China had accumulated at least 8,000 tons of gold (I may be way low on this per Alisdair Macleod, more on this in my previous article), they have built out infrastructure to the point of even building ghost cities with their own functional but not used (yet) airports. They have accumulated zinc, nickel, copper, oil, you name it, in amounts far more than they currently need. They have bought assets all over the world and have spent dollars to do it. They have been on a mission since 2008 to turn dollars into “stuff” wherever they could, because they know. They know the dollar is toxic and if they don’t exchange them prior to the bankruptcy becoming public, they will be left holding a worthless asset. As for the situation in silver, if I am correct and it is the Chinese who are record long the December contract, do the Chinese really believe they will receive silver? Of course not, they can see the published inventories are not even close to sufficient, they may not even believe the published figures. I still believe this position is only a switch they can flip when and if they wish or even the leverage as a threat to flip it. We will find out soon enough but the open interest rising to such heights with the price dropping to such depths has never happened before in any market that I know of, something very very different is happening and it looks like December is the focal point! We will see. 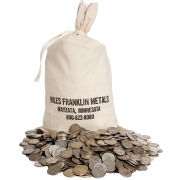 Holding or storing silver is not the answer. The answer is to sell to the East (even if at a discount after shipping)… so that US buyers cannot get their hands on the inventory. Building inventories is never price positive. Ship all silver to shanghai/Singapore and sell at these locations. Let the US know you are not kidding around. They (US buyers)..now have to buy from the east at a premium AND pay freight. Just my thoughts. …or, just sell what you need to keep the lights on? Nope…sell direct to the East. Building inventories hurts in the long run. What if 80% of the US mining companies had 2-3 years of production stored? Would that be price positive or negative? I know it may help for a month or two when they first hold back production…but if it prolongs…arrrggghhh. Get it out of the US and to the East where they want and are willing to pay for it. My suggestion to US mining companies is to make direct ties with foreign buyers…and sell all production to them. How about if the Chinese settle by taking all the silver at the COMEX, plus an equivalent amount/value of gold to settle up? Why would they spend $20 billion to get nothing significant in return? I don’t believe this is about the $20 billion, gold is more valuable to them than silver. The silver however will be a public embarrassment for our fraud, it is the Eastern way of thinking in my opinion. You’re saying that China would invest $20 billion just to create a public embarrassment for the COMEX? Couldn’t they obtain the same result for $3 billion and use the balance for other productive purposes? it had to be done “on the quiet” with no alarm bells going off. $20 billion is chump change in today’s world, consider it a “loss leader”. If gold is more valuable for them than silver, why should we have to put money on silver as asians are not the only real longs in precious metals on earth ? because of the ratio. The Chinese have allowed silver to be attacked as it is too small a market to enter with any big amount of capital. They would have blown up the game if they tried to accumulate real silver. My take – “They” COMEX know that the price will rise,,, eventually. They also know how many people will sell at $30, $40, $50 etc. Just the two years 2010 & 2011 the US mint sold approx 75 million silver eagles. That’s over 10% of of Dec contracts. Add in all the other minted rounds and bars in peoples hands, this game can go on forever. IMHO what “They” will do is raise the price of Silver when they are ready, knowing full well how high they have to go to get the number of contracts they need to make a “Delayed” December Delivery. My guess is that Silver will break the $50 barrier this go-round, but will be determined by how badly stackers (and non-stacker alike) need fiat. “Add in all the other minted rounds and bars in peoples hands, this game can go on forever” …no it can’t. Great thoughts, Bill. I’ve become an avid reader this fall and appreciate your thoughts. Let’s suppose you are right about China’s longs. Could it be that they use this as “blackmail” to accomplish another objective and postpone the day of reckoning? They have more dollars, is there more gold/silver that can be obtained by them before the price reset? thanks Brad, that is the big question …how much gold is left for them to obtain? I believe in Austian economics but those fundementals cannot occur in a completely insane and corrupt system. So, through my discouragement these last couple weeks, I have had to reflect on the Art of War and need to try to better know my enemy as I am losing bad. If I would have played the DOW with the sheeple the last 6 years, I would have tripled my wealth despite the fundementals supporting hard assets (which is where i did go). I am not sitting pretty after the last 2 week take down which remember, followed a steady decrease almost all year long. This is especially true in my miner shares. In fact, I lost 20% of my wealth the last weeks alone after already being sucker punched bad since 2011 where I am down 60% (30% down this year alone). These percentages are “rough figures) there folks. I am beginning to think, that while I agree that the Keynsian expeiment will come crashing down eventually, I am starting to think it may be later than sooner given the rabbits they pull out of their hats. TPTB have even said (around 2011)that they plan a slow steady decline and I wonder if China, who could crash it at any time, isn’t in agreement that this is the way it will go. In 2010, 2011, 2012, 2013, 2014 I thought we’d have hyper-inflation by now and so did NIA, Peter Schiff, Harvey and most everyone. Nearly everyone was saying the same exact things I am hearing this year and NO ONE called for silver to be taken down like it was the last two weeks. EVERYONE said that the cartel would not be able to keep slamming the PM’s down again and again and more and more for this long…. yet look what they did the last two weeks. Once again, a month ago everyone was calling a bottom again when Silver was $17.50. I am so dis-illusioned by all of this that my ressolve is starting to break. I bought most of my silver when it dropped below $30 as people were calling that the “for sure” bottom. I have seen a dozen more calls of a “for sure bottom” since then. I also bought into mining shares and lost my shirt 5 times over sine 2011 and lookie here,it gets smashed down again to far below 2010 levels. I am beginning to re-think this whole thing. Here is my newest belief after the last couple of weeks…..
Everything is completely insane and I think that is the the ace in the pocket card they are playing and why TPTB are able to do what they do over and over again for so long and laughing all the way to the bank…. oh wait, they are the bank! Think about it, you have an nuclear superpower who is on the brink of imploting since 2007 and is being more and more out-performed by China every year and insanely reckless with monetary policy. Well China knows this but what are they going to do? They do not want a war over this which is what a desperate super power will do. They (we) will not give up power. You have to believe that China could have pulled the plug on us years ago but still have not. I believe it will happen but now I am not so sure if it is going to be soon like 2010, 2011, 2012, 2012, this year or 5-10-15 years from now. By then, China will be so far ahead and advance that they no longer see of as a power or threat whatsoever. Doing it now is like way to risky. I mean the chinese people are good and smart folks who love their children too. I am beginning to imagine them not cutting up our credit card for another 10 years when they will have 10 years of out-growing us and have ALL the PM’s, and the highly advanced technologies where they feel safe going to a knife fight with a machine gun. The threat of a spoiled child with nuclear weapons is far worse to China waiting it out to when they know they have the means to prevent us from using them. When I am vested in one of the bestter junior minors with a great management team that was $17 a share in 2010 hammered down to the bargain basement price of $6.00 a share earlier this year, when I go in hard again and now today it sits at $2.89. Sometimes I wish I was one of the blind sheeples aa at least then I would have listened to the companies who benefitted from the QE by propping up their balance sheet rather than the miners who have been hammered. So now QE ended, and they are hammered for another reason entirely. IT IS INSANE and you have to be a complete ignorant idiot to make any money in this market and by following CNBC. But the pathetic thing is, they were right for the most part since 2011 helping to build up that huge bubble. I hope I can survive this as I am nearly forced out of what I bought at $30 an ounce!!! I, too, have rethought my position on PMs. As long as you can naked short the paper market with huge contracts, the US has a vested interest in 0% interest rates, you keep the currency wars going with devaluations (think Japanese yen – and next, the Euro?) and can manipulate economic statistics to your advantage this seems to be a game that is playing us all for suckers. I have lost much, as have most believers in fundamentals. China has fooled and won over the sucker at the table which is the USA. Americans better practice up on being house boys and house girls for China (I’m for real!). 99% of Americans are losers in this game while the 1% elites are wealthy enough to survive the lost game, however, I am hoping the 1% elites are not smart enough to convert their paper dollars (aka toilet trash) into gold and silver so they can get what they have coming to them! you don’t think they already own gold? Following another line of thought: regarding the granted status of “most favored nation” for China, is it not far more plausible that China’s got the shorts and the FED got the longs and is taking the losses? Al least the FED could print these losses! All the way down to gold going no-bid and then at once revaluating gold to say 25k? I honestly don’t believe it is China because each and every financial decision on a world level without a G20 agreement would mean war. China knows that. So what’s the profit in keeping the longs? I don’t see it. They can pull the trigger simply by slowly accumulating all the physical gold. please reread my work, your thoughts are almost all backwards on each point you made. yes correct, some mines had to pledge some production against financing. I question the price of PM production costs per ounce. Here is Hecla’s Greens Creek Mine 2013 official cost of 2013 PM production. If China (or anyone) can buy the PM mines or their production at these prices, the bottom of PM prices is still in front of us. Re: Comex settlement of contracts for PM future delivery.. (December, etc.) Is there an actual requirement that Comex must deliver actual metal? Or is it that Comex can declare and “force” the holder to accept “cash equivalent value”? Thank you for clarifying. they can and probably will change the rules …but, this is like pulling their pants down isn’t it? US offers the Saudis protection in exchange for cooperating with the US foreign policy objectives, in this case they “encourage” the Saudis to lower the price of oil to hurt Putin. The threat is the removal of this protection if they fail to cooperate on oil. China offers Comex protection in exchange for cooperation with Chinas foreign policy objectives, in this case they “encourage” Comex to lower the price of gold so they can accumulate more gold on the cheap to hedge out their dollar position. 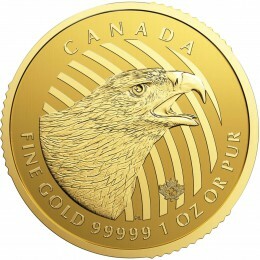 The threat is they will take delivery of silver if they fail to cooperate on gold. The lower oil price hurts Russia but also US frackers. Some speculate that the Saudis are cooperating with the Chinese, not the US, to lower prices. Saudis get solar supplies, etc. from China; China gets low oil prices and leverage when negotiating long term contracts with Russia. I believe you’re right about Comex/China. http://tinyurl.com/paylpdr. West took the arbitrage bait. When SHFE silver inventories go to zero then they’ll have the abilty to do the “honorable” thing & re-price gold & silver. Smoking the shorts on the other side? I heard several smart people (willie, Kirby, Organ) all describe these two scenario’s. December will be an interesting month. Time is running out for the west. Let’s face it. The few gold pundits (Holter, Sinclaire Turk, Embry, Sprott, Hathaway) are no match for the Feds and the banks so there is no chance in hell that the PM market will ever change. I am so tired of hearing from these pundits that the PM market has hit its low over and over again. How do you expect PM to ever rally in a rigged market? It is just not possible for David to overcome Goliath. If this sounds like comments made at a PM bottom, so be it, but I will only believe it when I see it and I am tired of hearing and reading that gold will some day reach $2,000. It just will not happen. “so be it” …$2,000 gold is laughably low. And by the way, the names you included me with are the top 5 in the business, I am honored though I don’t think it was your intent. 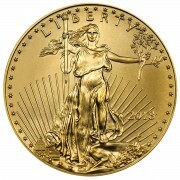 The Feds and the banks are no match for a dwindling supply of precious metals. Once we run out of physical, it is game over. I know we have heard it all a thousand times before, but guess what, one day that will be exactly what happens. Bill, very interesting stuff!! Thanks for your insight. No one knows when the PM suppression game will end, but one thing’s for sure: November 30 through the first part of December could be very interesting! By the way, has the open interest for December grown any since last Friday? OI dropped 2,200 contracts on Friday to 177,000. In Jar’s mail above he claims that PM will never make a comeback and to tell you the truth I am starting to feel the same way. Then I think what happened in the com. situation and I think maybe I am wrong and better stay put and continue to stick with what you proclaim. we had almost zero NASDAQ exposure in my office by Jan.1 2000. We were only one of 7 out of 700 offices which did not have a lawsuit because of that stock debacle. PM’s will not trade forever under the cost of production, or anyone’s thumb for that matter. What would the Chinese (if it is the Chinese) accept (in payment) to not flip the switch now? maybe grain? National lands? Who knows? What is to prevent the criminal bankers/Fed/BIS from driving Silver & the mining shares so low with naked sales that the miners go bankrupt? At that point, they can take over the miners’ land, default on their naked shorts and scoop up all remaining Silver with fiat. Who is going to stop them? There is no rule of law for these guys. the only problem is that who will sell them the metal for fiat if the system has collapsed? Re Silver…I note that the MACD monthly histogram is now negative and a few months ago Bill was positing that silver would go up in price as a result. Having fallen thru monthly support it is quite possible that Ag will hit 100% retracement at $9.55. What most analysts fail to realise is that you cannot measure stocks of silver and gold in the same way you would with other commodities (wheat corn etc) because stock to flow ratios of PMs are measured in years ++ and not months. There is no shortage of either. tell that to the mints who have now gone to 2-3 week delays for delivery …because the stuff is just falling off of trees like autumn leaves! There is a saying, don’t get mad, get even.” How about GATA taking out a full page ad in the WSJ and the NYT asking for an audit of U.S. gold that is supposedly in Fort Knox? Wouldn’t that rattle the anti-gold industry? GATA has already run an ad that cost $248,000 which got them nowhere, in fact, they wish they had the money back! So, who’s the real winner of this foolish games? standard of living will shift from West to East. Could it be someone in collusion with JPM or their proxy holding the short side and using wash trades to manipulate the price? We know how these guys work and the CFTC is bought and paid for. Maybe its easier to conceal the wash trades when the open interest is inordinately high as it has been in silver for some time? Maybe the very high open interest scares also off challengers thinking of causing a short squeeze? could be, a short squeeze could be caused by standing for delivery with less than $q billion. Good article. Sun Tzu said something like; “The greatest victory is one where the army is not deployed.” As the chinese still study his words and ideas, perhaps they too realize that to “Throw the kill switch” would most likely start a hot war, perhaps it’s only the threat they want- for now. As you say, we’ll see in December, or not. Either way, in the short term (December) or the long run, we’re toast, in 17.6 (+/-) trillion ways and counting.